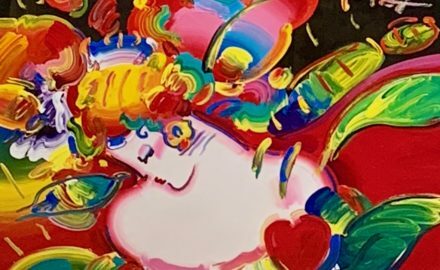 From visionary pop artist of the 1960’s, to master of dynamic neo Expressionism, Peter Max and his vibrant colors have become part of the fabric of contemporary American culture. 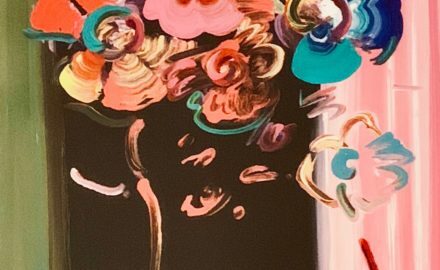 In the 1960’s Max rose to youthful prominence with his now-famous Cosmic ’60s style, a bold linear type of painting which employed Fauvist use of color and depicted transcendental themes. 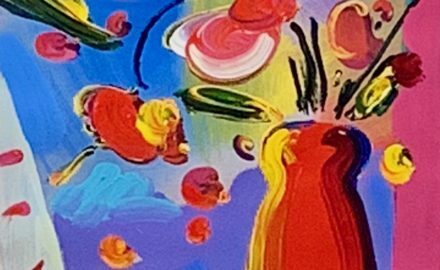 Peter Max revolutionized art of the 60’s just as the Beatles transformed the music of the decade. As his expressionistic style evolved, becoming more sensuous and painterly, Max’s unique symbolism and vibrant color palette have continued to inspire new generations of Americans throughout the decades. 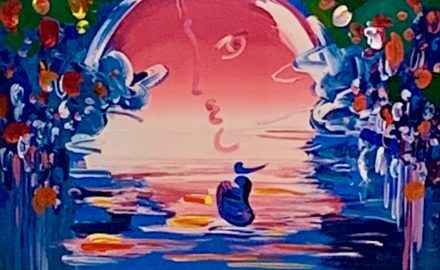 Peter Max is a passionate environmentalist and defender of human and animal rights, often dedicating paintings and posters for these noteworthy causes. He has celebrated our nation’s principles of freedom and democracy with his famous paintings of American icons of freedom including Lady Liberty and the American Flag. Peter Max has received many important commissions including the creation of the first “Preserve the Environment” Postage Stamp commemorating the World’s Fair in Spokane, Washington; 235 Border Murals at entry points to Canada and Mexico commissioned by the U.S. General Services; and a painting of each of the 50 states, resulting in a book, Peter Max Paints America in celebration of the Bicentennial. In 1981 he was invited by President and Mrs. Reagan to paint six Liberty portraits at the White House. Max has painted for five U.S. Presidents – Ford, Carter, Reagan, Bush and Clinton. Max has exhibited in over 40 international museums and over 50 galleries, worldwide. His work can be found in many prominent museum and private collections around the world. In 1981 he painted six liberty portraits for the America President and Mrs. Reagan, and in 1993, his famous ‘100 Clintons’ installation.